Different people face retirement at different stages in their life, but they are brought to this point by the very same thing: The body has lived through many years and a certain degree of inability to perform as well as before has been reached. A person is no longer able to take on physical pursuits as easily because the body is not as strong, energetic, agile and enduring as it used to be. While some may have the tendency to lament the arrival of their retirement age, it may be a much better goal to be able to welcome this stage in life with welcoming, open arms. After all, a long life that is well-lived is sure to have taught you many lessons that helped you build a well of wisdom within you. And now that you are free from many of the concerns and responsibilities that you had to take care of when you were younger, you can now put that wisdom and knowledge to good use — toward cultivating a richer inner self. During your younger adult life, pressures and concerns mostly revolved around your ability to look after and provide for yourself and your family. That means employing ways to build income and save money for everyone’s needs along with your own, and to pour energy into helping the all the members of the family grow into healthy, smart and capable individuals. Once you reach retirement age, however, you now have an opportunity to turn your gaze inward — to shift your focus away from family and economic matters and toward your spiritual well-being. Now you can pursue interests or hobbies that can feed your passions, travel around the country or to different parts of the globe, and work on your relationship with the universe. This is a more spiritual phase in your life and knowing how to make the most out of it can help you enrich it. 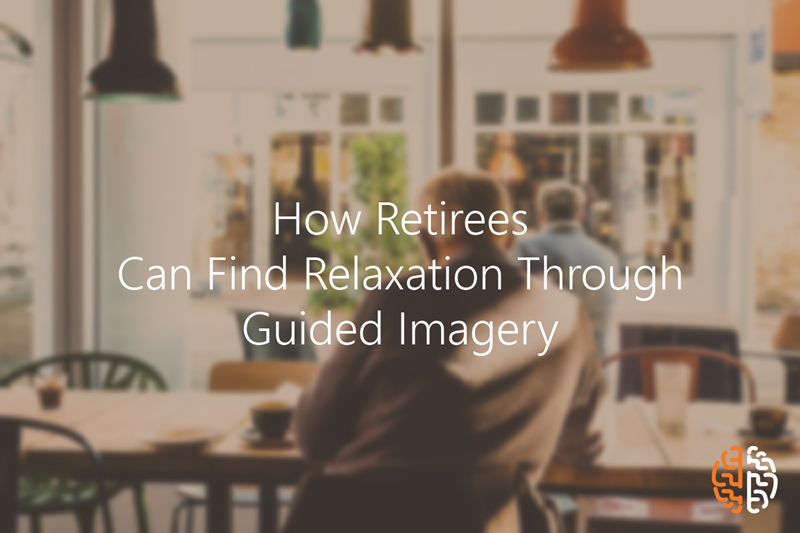 One of the best things that retirees like you can do to nurture your inner being is to seek relaxation through meditation — specifically, with the help of guided imagery. Guided imagery is a technique that utilizes visualization. It helps you create mental sensations and images which can then help improve your ability to change, adapt, perform and cope with different life situations that could emerge. You can experience the benefits of guided imagery by performing some simple exercises. From a peaceful spot that you can settle into, close your eyes and engage in deep breathing. You can also choose a relaxing scene or image that you can imagine vividly — make use of all your senses to create the details of the environment you have in mind. Spend time involving all your senses and envisioning the scene you have created. This immersion can help you relax and take steps away from things that cause worry or anxiety for you. After completing these exercises, you can then count slowly back from 10 or 20, open your eyes, and go through the rest of your day. You may notice a greater sense of serenity or alertness which can help you enjoy your retirement days better.